Better Lawns and Gardens, Florida’s only statewide gardening show, is highly targeted to both long-time enthusiasts and first-time gardeners. Airing for 28 successful years, this weekly program, hosted by well-known gardening expert, speaker, and author Tom MacCubbin, runs all year long. Every week, the phone lines are jammed with callers seeking gardening help. Tom is a walking encyclopedia of horticultural knowledge and you would be hard pressed to find a gardening question he can't answer. It's a fun show to listen to with Tom and his wife Joani continually competing to see whose side of their yard has the more attractive landscaping. Contest giveaways, and the "Pest of the Week" make Better Lawns & Gardens a Saturday morning listening tradition for Florida gardeners. Affiliates can air the program live on Saturdays from 7am-9am, or delay broadcasts using their XDS receiver or downloading from FNN OnDemand. For years, Tom MacCubbin was the Extension Agent for Orange County and the University of Florida. Tom was the guy everyone looked at to answer their gardening questions and solve their urban horticultural problems. Tom has retired as Extension Agent, but you would never know it. 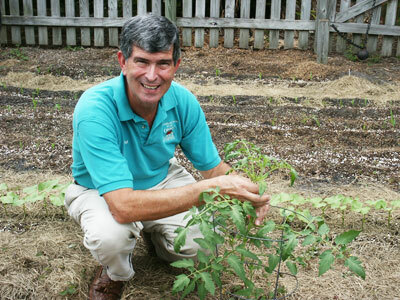 He is still active in Florida communities helping homeowners solve the challenges in their landscapes. He still writes a column for the Orlando Sentinel and it's not unusual to see Tom pop-up on television as a gardening expert during news programs. As part of his attempt to be become The King of All Gardening Media - he’s also the Author of “Florida Home Grown; Landscaping”; “Florida Home Grown 2”; “The Edible Landscape”; “Month by Month Gardening in Florida”, and “The Perfect Florida Lawn.” Tom is frequently invited to be guest speaker at Florida gardening shows and events including the Epcot Flower Festival, FNATS, Central Florida Home and Garden Show, and the Apopka Art and Foliage Festival. XDS Programs: "Better Lawns & Gardens Hr 1", Better Lawns & Gardens Hr 2"